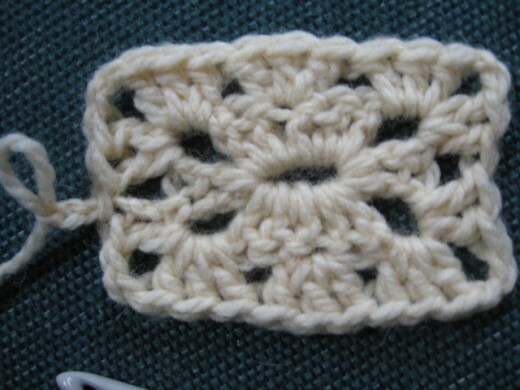 There are a few, still simple to do patterns. You will notice it just comes down to how you set up the first row, after you've joined the ring. 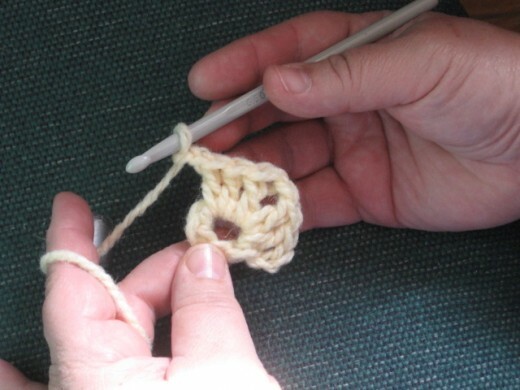 If you want to make the simple on-and-on-and-on-going throw then this first one is for you. 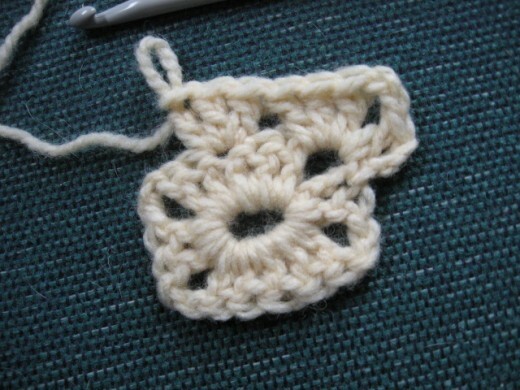 A totally square throw is fine and dandy; but if you would like it to be the standard oblong you can achieve this two ways. 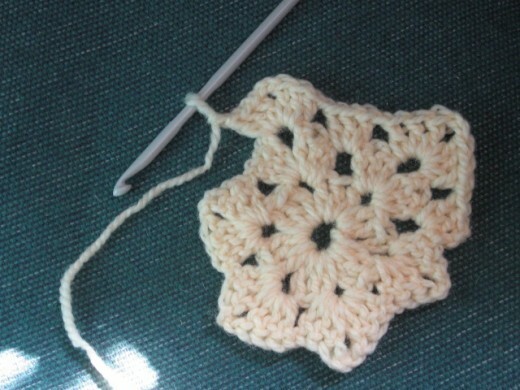 When the beginning granny square is established say maybe 10 or 12 rounds add 3 - 5 rows to two opposite ends only. 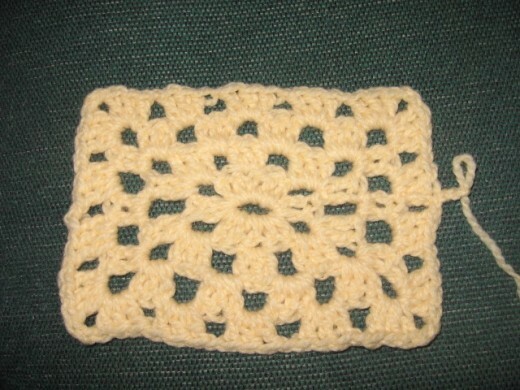 Or you can use the easier way and begin with a rectangular square (doesn't that just sound so silly). How about I show you and you make it along with me. Well what are-yah??? Are you a square or not??? 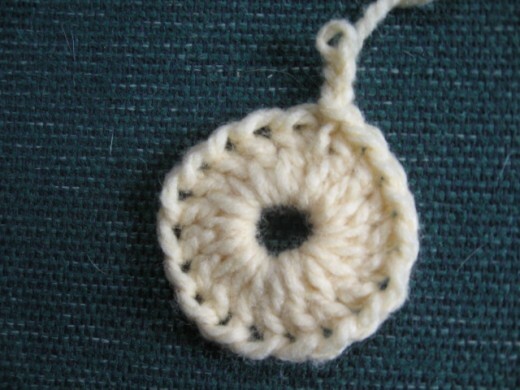 Ch5, join with slip stitch to form a ring. Round 1: ch3 for first dc, 1dc in ring, ch2 for corner, 5dc in ring ch2 for corner, 2dc in ring, ch2 for corner, 5dc in ring ch2, join by slip stitch to top of starting ch. Round 2: ch3 for first dc turn work, (1dc, ch2 for corner, 3 dc) into corner space, 3dc into center dc of 5 dc cluster, (3dc, ch2 for corner, 2dc) into corner space , (2dc, ch2 for corner, 3 dc) into next corner space, 3dc into centre dc of 5dc cluster, (3dc, ch2 for corner, 2dc) into corner space, join by slip stitch to top of starting ch. Do you see how its shaping into a rectangle? Slightly pull at the corner chain spaces so you can see it even better. Round 3: ch3 for first dc turn work, 1dc, (2dc, ch2 for corner, 3dc) into corner space, 3dc cluster into each of next 2 spaces, (3dc, ch2 for corner, 2dc) into corner space, 2dc into next space, (2dc, ch2 for corner, 3 dc) into corner space, 3dc cluster into each of next 2 spaces, (3dc, ch2 for corner, 2dc) into corner space, join by slip stitch to top of starting ch. Round 4: ch3 for first dc turn work, 2dc, (3dc, ch2 for corner, 3dc) into corner space, 3dc cluster into each of next 3 spaces, (3dc ch2 for corner 3dc) into corner space, 3dc cluster into each of next 2 spaces, (3dc ch2 for corner 3dc)into corner space, 3dc cluster into each of next 3 spaces, (3dc ch2 for corner 3dc) into corner space, 3dc into next space, join by slip stitch to top of starting ch. Now you're all set; you continue on and on and on in the same way. You will notice that each side in each round increases by one cluster. 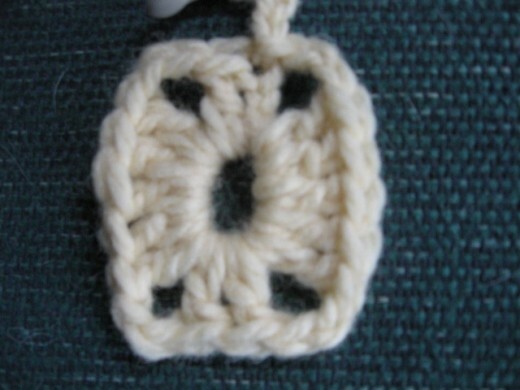 Not So Lacey Granny Square! or Faux Granny. 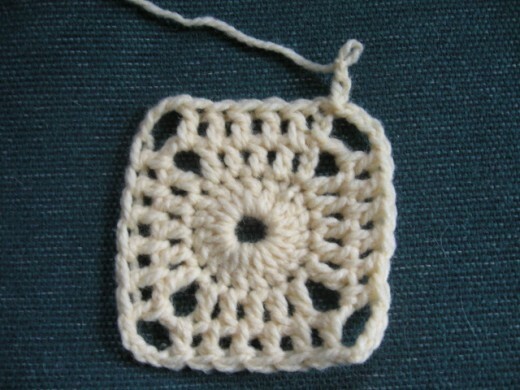 This square as the name says is not as "loose or lacey" looking. The sides are solid and will increase by one dc per side per round. Why don't we do one together so you can see what I'm talking about. Round 2: ch3 for the first dc, 1dc in between each of the next 4 dc, ch3 for corner, [these 5dc are side #1 of square] 1dc in between the next 5dc, ch3 for corner, [these 5dc are side #2] 1dc in between the next 5 dc, ch3 for corner, [these 5dc are side #3] 1dc in between the next 5 dc [these 5 dc are side #4], join by slip stitch to the top of starting ch. Round 3: ch3 for first dc, turn work, 1 dc in corner space, ch4 1dc in corner space, 1dc between next 4 dc, 1dc in corner space, ch 4, 1dc in corner space, [side #1 of this round has 6 dc] follow same steps for next 3 side, join by slip stitch to the top of starting ch. 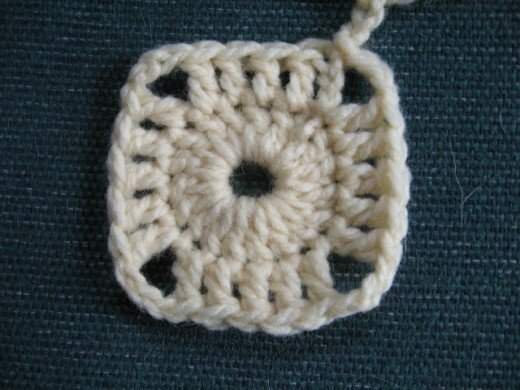 From this point you can continue on until you have the size of square you would like. Just remember each side per round will gain 1 dc. The Five-Sided, Six Sided.....What an Oxymoron!!! Remember it all just comes down to how you set up the first round. If you want to set up 4,5,6,7,8 etc...sides, all are possible as long as the "unit" (square, ...octagon...) which-ever lays flat. You might have to experiment with the beginning ring. Round 1: ch3 for first dc, 2dc in ring, ch2 for corner, [3dc in ring, ch2 for corner] 4x, join by slip stitch to the top of starting chain. Round 2: ch3 for first dc, turn work, 2dc, ch2, 3dc into corner space, [ch1, 3dc, ch2, 3dc in corner space] 4x, join by slip stitch to the top of starting chain. Round 3: ch3 for first dc, 2dc, into ch1 space, ch1, 3dc, ch2, 3dc, into corner space, [ ch1, 3dc, into ch1 space, ch1, 3dc, ch2, 3dc into corner space ] 4x, join by slip stitch to the top of starting chain. The start off is the same as for the other Grannies. As before make a ring. 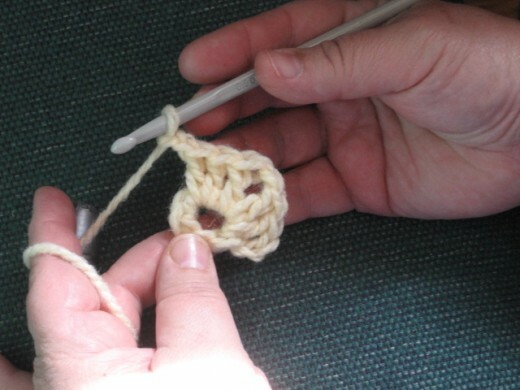 The ring can be made with 5 or 6 chain stitches. It all depends on your tension. Round 1: ch3 for first dc, 2dc in ring, ch2 for corner, [3dc in ring, ch2 for corner] 5x, join by slip stitch to the top of starting chain. (Slightly pull corners to make sure it lays flat after each round). Round 2: ch3 for first dc, turn work, 2dc, ch2, 3dc into corner space, [ch1, 3dc, ch2, 3dc in corner space] 5x, join by slip stitch to the top of starting chain. Round 3: ch3 for first dc, 2dc, into ch1 space, ch1, 3dc, ch2, 3dc, into corner space, [ ch1, 3dc, into ch1 space, ch1, 3dc, ch2, 3dc into corner space ] 5x, join by slip stitch to the top of starting chain. As with the other grannies this is where you will have to decide if you want to stop after three rounds or continue on and make bigger units. Just remember that with each round each side will grow by two clusters. 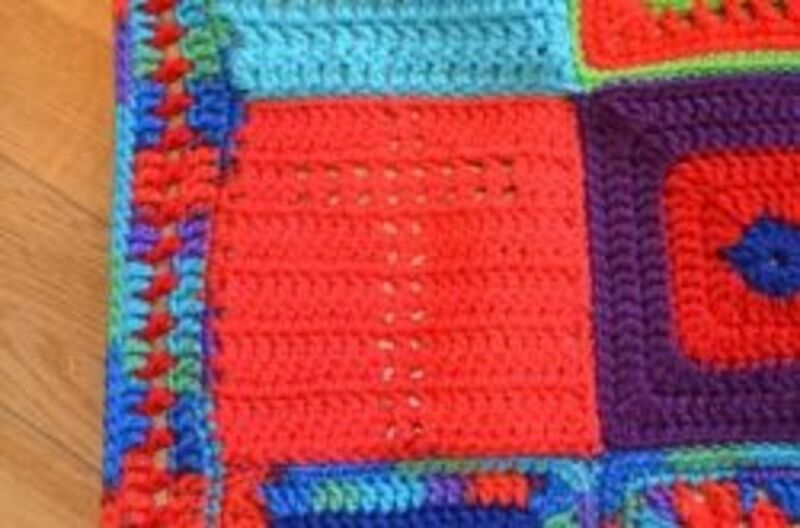 To judge if the stitch count is right for your tension lay down your work and gently pull at each of the corner spaces. If your granny doesn't lay flat and 'curls-up or frills-up' you have too much 'circumference' and you'll need to take away the in between the side clusters ch1 out. If the granny 'bowls-up' you're too tight and you'll need to increase the ch1 into ch2 between the side clusters. 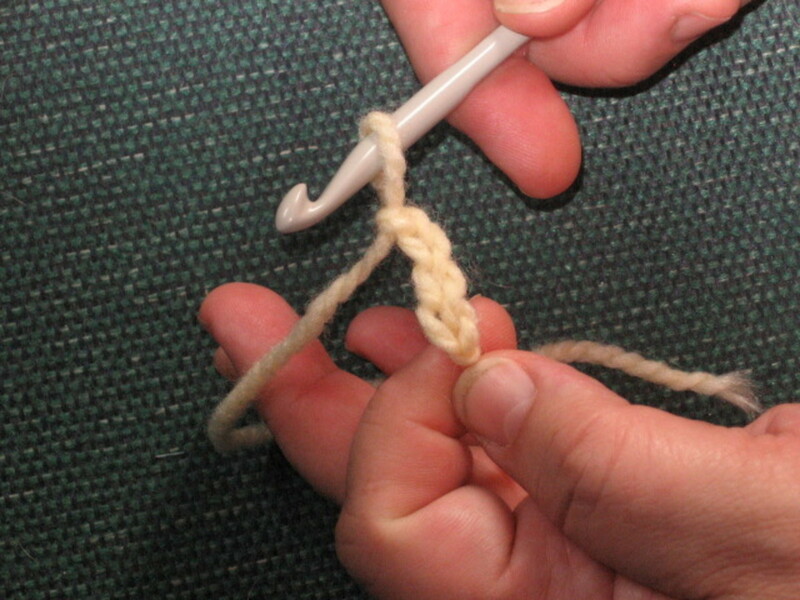 Once you've found the right tension add it to your pattern. It's easy to forget how one "square" was made exactly. Hiya Mary, nope the instructions are correct. the 1DC goes right next to the chain... this will form the center 2DC cluster... if you look close at the picture right next to the round3 instructions you can see 3x 2DC clusters. WHERE does that 1DC go ??? Should instr read... (1DC, 2dc, ch2' for corner, 3dc)??? Minney, thanks for taking a look and for commenting. Good luck with your project. 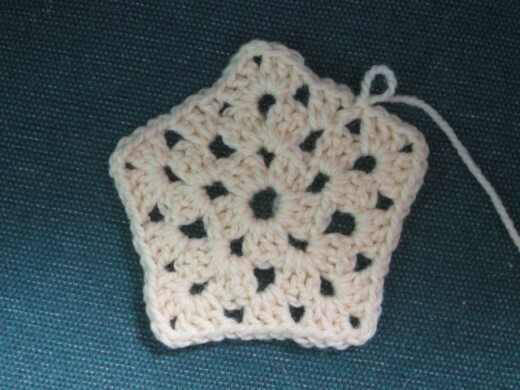 craftybegonia, thank you for taking a look and for commenting. 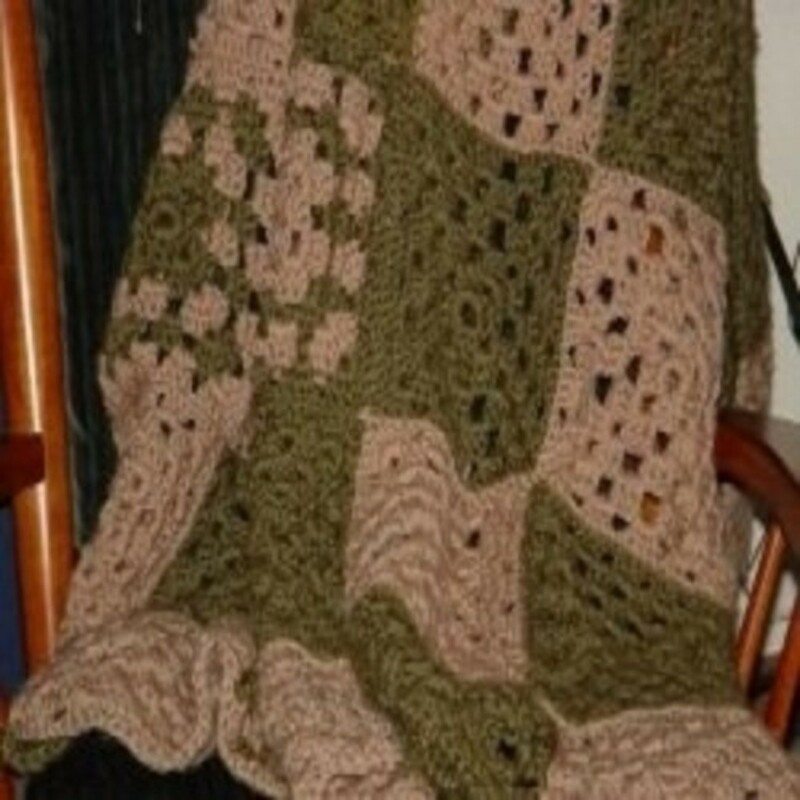 I made a beautiful continuous granny square baby afghan years ago an now want to make another one and cant find my book (I let a friend borrow). I know I started with 2 strands of baby pk then dropped one strand of pk and picked up peach, then drop pink and pick up another strand of peach, this continues using yellow, green, blue, lavender and then finishing with pink. It is absolutely gorgeous. 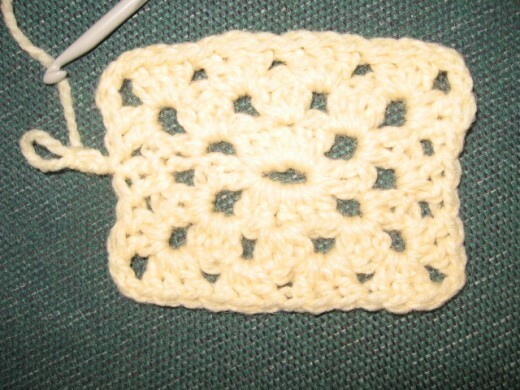 I just cant remember the number of rows for each combination of colors nor the exact pattern of square. I have decided to try the 6 sided and just hope to guess the right number of row combinations before I have an afghan that will cover the baby and her entire cast of siblings. Thank you for posting your patterns, it really helped. Nice hub, I love grannies! gypcie65, thank you for taking a look and for commenting. The trick with working in diagonals is to have a good tension and to be able to increase and decrease without holes showing. When I have a bit of time I will try to put a hub together. 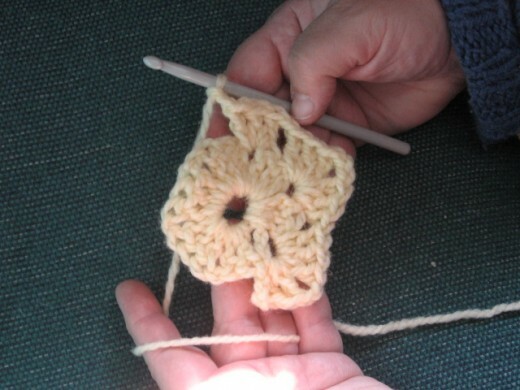 I to crochet granny squares but lately I have been crocheting differentafghans for ALL the grandchildren and each one is different. Do you understand how to do a diagonal? I can't seem to get the hang of it! I am fine but busy doing all kinds of stuff other than hubbing. 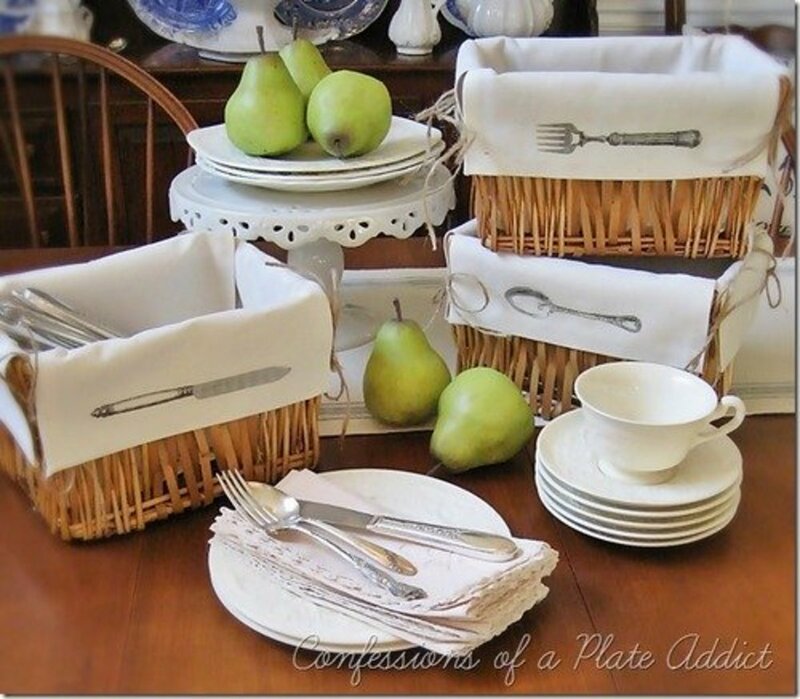 I just re-started doing hubs on what I like to do--teaching others to sew and some shortcuts or easier ways of doing things other than what they tell you on the instructions in the pattern. Lady Guinevere, how are you? Thanks for taking a look and for commenting. I am going to have to bookmark this. 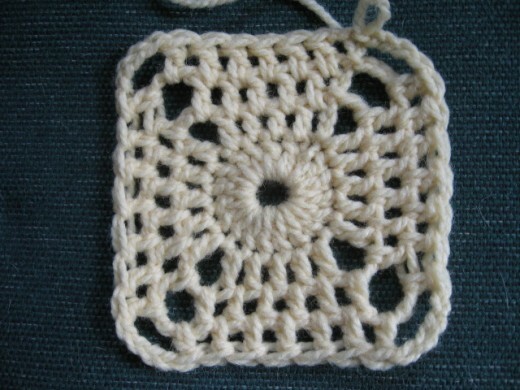 I used to do these and now have a bag full of yarn that I was going to make into one of those bedspreads for my daughter----only I have forgotten how to start the square and I see you have other variations. I have to go back to your first hub to re-teach myself. See when I am thinking of these things--they magically appear! Thanks for bringing this up to the top in the Feed. Kerkedijk, thank you for taking a look and for commenting. So glad you came for a visit. 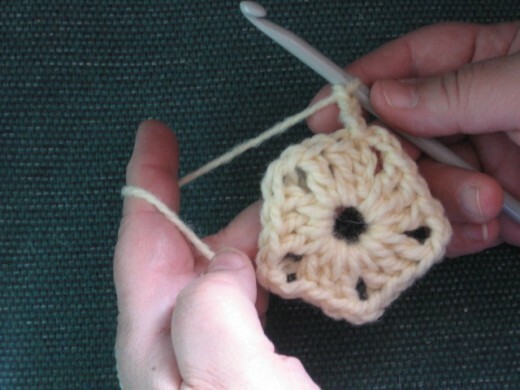 There is a part 1 hub all about the granny square. 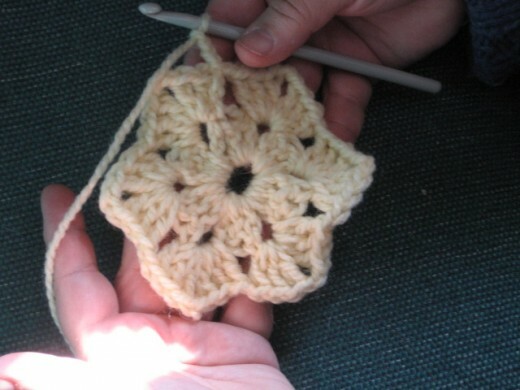 'How to Crochet a Granny Square Throw. Part I' the link is further up on this page. There are a few pointers in that hub too that you might like. So sorry glass railing I missed your comment. Thank you for taking a look and for commenting. Pink Mingos these squares or non-squares really are easy. The key is all in the tension which comes with practice...so never give up. You make this look so easy! Someone once *tried* to teach me how to make a "Wagon Wheel". I made seventeen (17!) of them and not even one of them turned out the same size as any of the others! heh. I think I should work on the "tension" thing! Unfortunately I don't have anything on bobbin lace. 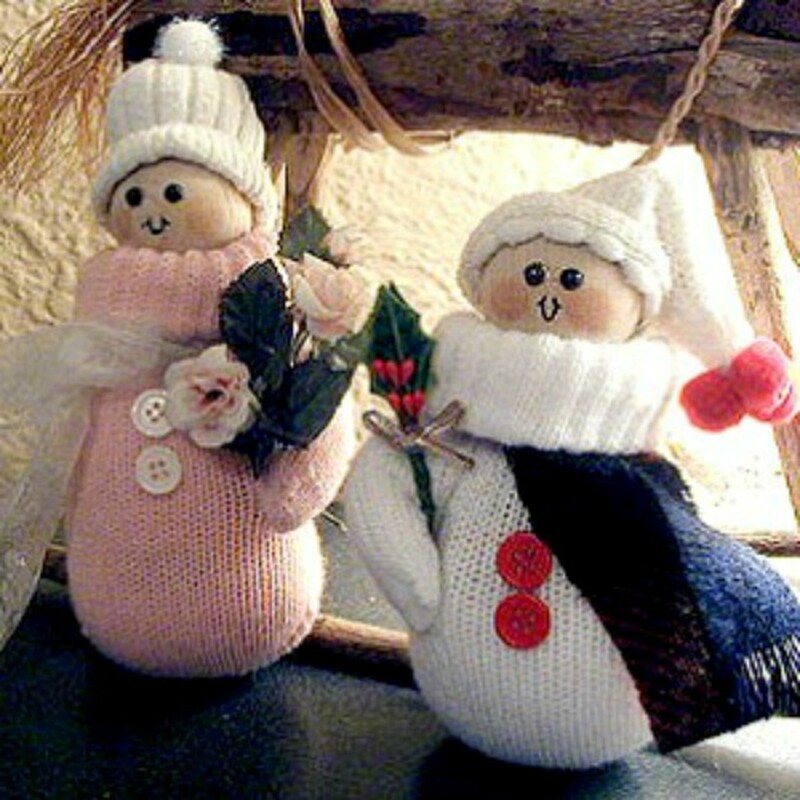 But you should point out to your ladies not to throw out even the smallest of scraps. I'm working on getting a couple of hubs together on crazy quilting. In the next couple of weeks. Thanks for visiting. What an easy and non complicated demonstration Zsuzsy. I am passing this on to my village craft centre I helped launch for the women who lost everything in the tsunami. (if you don't mind?) 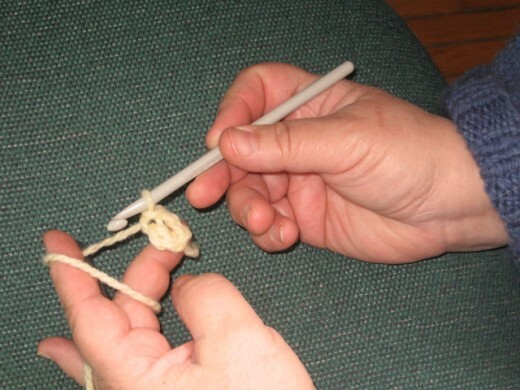 Do you know any bobbin lace work? We donated the &quot;pillows&quot;, accessories and a sewing machine to each of 30 selected women with enough material for them to work on and get a head start. ODIFA has kindly sent me patterns and books. Bobbin lace was a dying craft and now being revived with this centre. As part of the program the older women who know the craft were opted in to teach the younger women with a small stipend from us and help in establishing them in lucrative employment. Thank you Zsusy, great job. Abhinaya! I'm so glad you tried. Thanks for visiting. I could go by the pictures and create each one.They look so beautiful.Thanks for sharing ZB. Thanks for coming by for a visit. You should try it sometime. Wow, I'm impressed. Patience and skill. Must be great for wintertime by the fire. 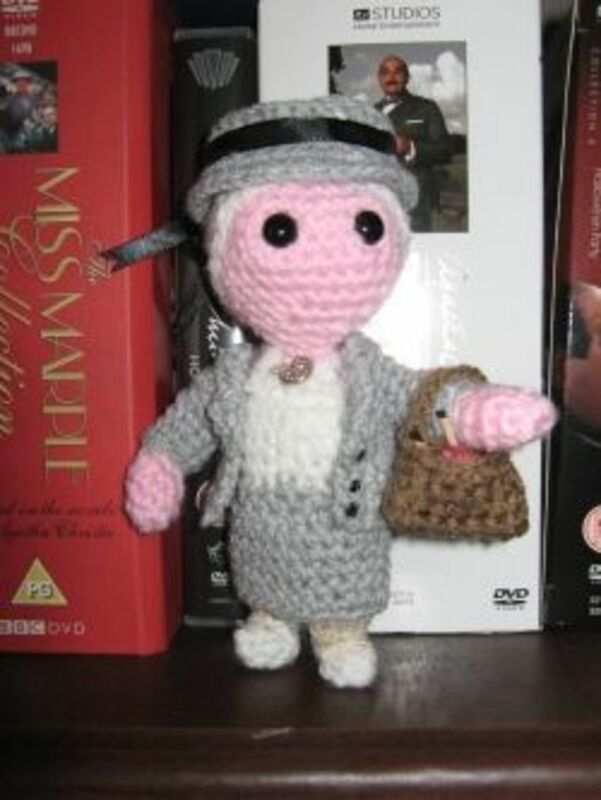 I really want to make one of these!!! It is becoming a way of life, gadgets are taking away from the old ways of making...what can you do? I will pass this to my niece, they are more interested in Gadgets than this handicrafts. I agree Marye, really easy. Thanks for visiting. nice! 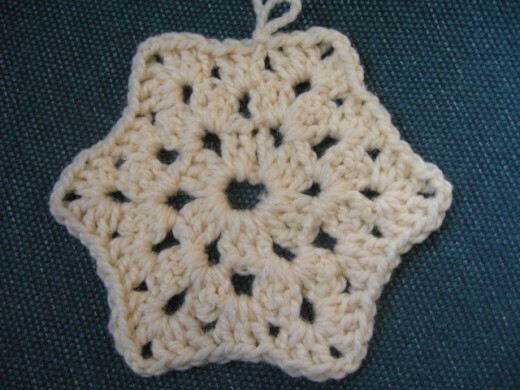 I love granny squares..they are so easy.